This is part three of a series. 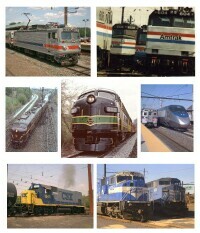 Here is part one and part two. 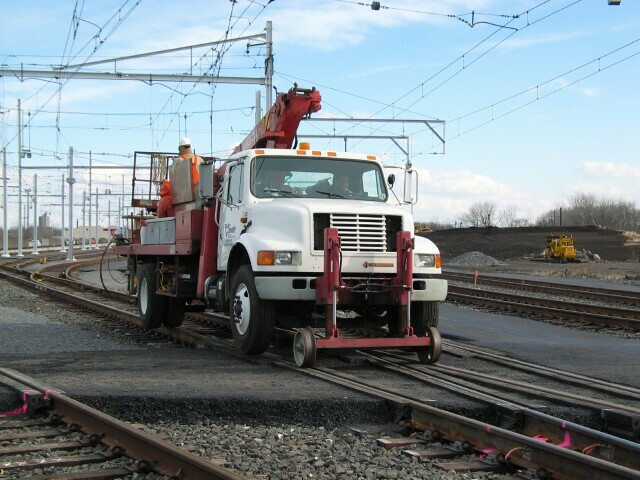 High rail trucks were being used to complete wire work at the east end. 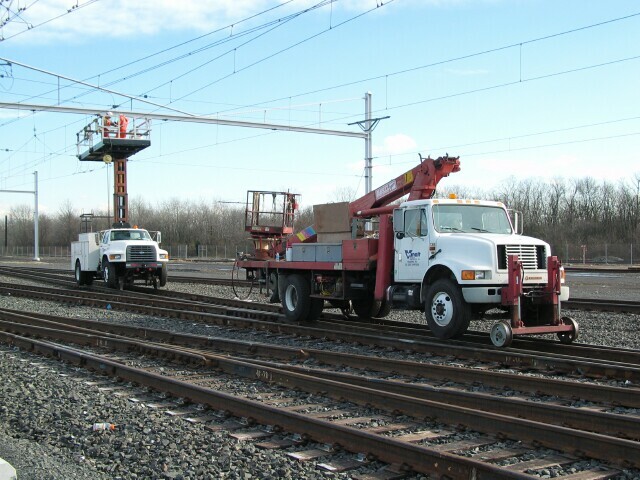 An interesting cherry picker high rail truck being used to check the catenary and supports. 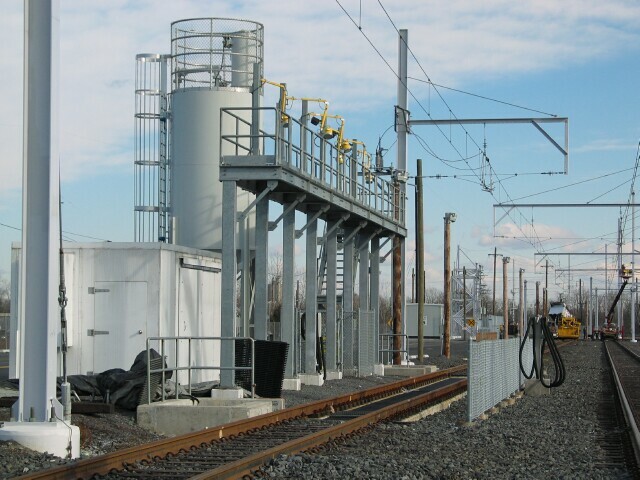 The engine servicing facility at the east end. This high rail truck was working at the west end. The area to the right will be used for the proposed expansion of the yard.